Flipkart Sale - Lenovo has just launched it' new Killer series smartphone "Lenovo K9" in India at just Rs.8999. Lenovo K9 offers great design, Smooth performance as it is paired with Helio P22 12nm processor, amazing camera experience with 13MP + 5MP | 13MP + 5MP Dual Front Camera, 3000mah Battery, Dual 4G VoLTE and more. Lenovo K9 price in India is Rs.8999. Lenovo K9 comes only in single storage option 3GB/32GB. What is Lenovo K9 Launch Date? What is the Price of Lenovo K9 Mobile? Lenovo launched the budget quad camera smartphone Lenovo K9, alongside the Lenovo A5. The smartphone features an HD+ display, Dirac Audio enhancement, a triple card slot, 2.5D glass protection, USB Type-C port and selfie light. Lenovo K9 specifications include a 5.7-inch HD+ screen, a 2.0GHz octa core MediaTek processor, 3GB of RAM, 32GB internal storage, hybrid microSD slot for up to 256GB card, 13MP + 5MP rear cameras, 13MP + 5MP front facing cameras, and a 3,000mAh battery. 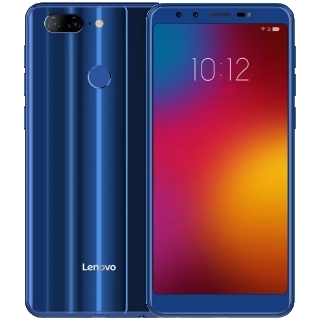 The smartphone is available online via Flipkart, which means that you can definitely make use of Lenovo K9 Flipkart offers to cut short the price of the smartphone in the Lenovo K9 next sale. As the smartphone is exclusively available on Flipkart, you will not be able to find any Lenovo K9 Amazon offers. Lenovo K9 launch date in India is 16th October 2018, which is also considered as the Lenovo K9 release date. As the smartphone launched alongside Lenovo A5, the Lenovo K9 next sale date will be the same as the other smartphone. You don’t need to wait for the Lenovo K9 flash sale as the smartphone is available on an open sale on Flipkart. Thus, you might need some of the best Lenovo K9 discount offers to get the smartphone at even lower prices. Lenovo K9 price in India has been set at Rs 8,999 for the 3GB RAM and 32GB storage variant, but the smartphone is available at a special discount of Rs 1,000 which makes the Lenovo K9 price just Rs 7,999 for the sole 3GB RAM variant. Lenovo K9 colour options will lead you to Black and Blue variants. The smartphone comes bundled with EMI offers and Bank offers on Flipkart. No cost EMI starts at Rs 889 per month for the sole 3GB RAM variant. Standard EMI options are also available. Get up to Rs 7,350 on exchange of older smartphones.